Celtic have intensified their pursuit of Harry Wilson as they look to fend off stiff competition for the Welshman. 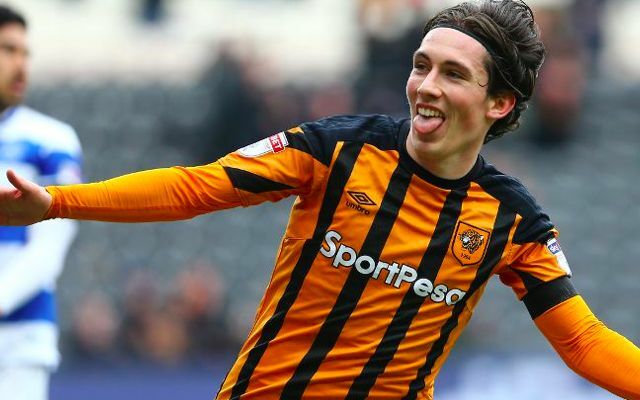 Wilson reported for Liverpool’s first day of pre-season training on Monday after enjoying a superb loan spell with Hull City over the second half of last season. The forward attracted interest from a number of clubs as he registered seven goals in 14 appearances to help the Tigers evade a shock relegation. His temporary spell served as a deserved opportunity to gain regular senior football following his majestic form for Liverpool’s U23s over the past two campaigns. He now unsurprisingly occupies a place on a number of summer wish-lists, including that of Brendan Rodgers. Celtic will step up their efforts to secure Wilson before Thursday’s initial Champions League signing deadline, reports the Daily Mail’s John McGarry. Wilson penned a new long-term deal at Liverpool prior to his deadline day move to Hull in January, with a future role in Jurgen Klopp’s first-team plans in mind. The 21-year-old was outstanding during his time in the Championship, notably scoring on his debut to help his temporary employers to their first win in 10 league matches. A fine season also saw Wilson score with a superb curling effort on his first start for Wales in a 6-0 win over China in March. He was recently rumoured as a target for Steven Gerrard’s Rangers, who have already signed Wilson’s Liverpool teammate Ovie Ejaria on loan. With a number of senior figures set for extended breaks after the World Cup, the prospect of a prominent role for Wilson in pre-season could deter the club from shipping him out so soon.